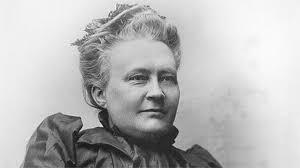 Today is the birthday (1844) of Minna Canth, born Ulrika Wilhelmina Johnsson, a Finnish writer and social activist. Canth began to write while managing her family draper’s shop and living as a widow raising seven children. Her work addresses issues of women’s rights, particularly in the context of a prevailing culture she considered antithetical to the expression and realization of women’s aspirations. Her play The Pastor’s Family is her best known, although none of her plays is known particularly well outside of Finland, and few are translated into English. In her lifetime she became a controversial figure because her views did not mesh with the prevailing ideology in Finland, but these days she is hailed as a pioneer, and her birthday is recognized as a Flag Day (the first Flag Day to honor a woman be officially recognized in Finland (2007) and is also designated as a day of social equality). Canth was born in Tampere to Gustaf Vilhelm Johnsson (1816-1877) and his wife Ulrika (1811-1893). Her father worked at James Finlayson’s textile factory initially as a worker and later as a foreman. In 1853, when he was given charge of Finlayson’s textile shop in Kuopio, the entire family relocated there. Canth received an exceptionally thorough education for a working class woman of her time. Even before moving to Kuopio she had attended school at Finlayson’s factory which was intended for the workers’ children. In Kuopio she continued to go to various girls’ schools and, as a testament to her father’s success as a shopkeeper, she was even admitted into a school intended for upper class children. In 1863 she began her studies at the recently founded Jyväskylä Teacher Seminary, which was the first school in Finland to offer higher education for women. 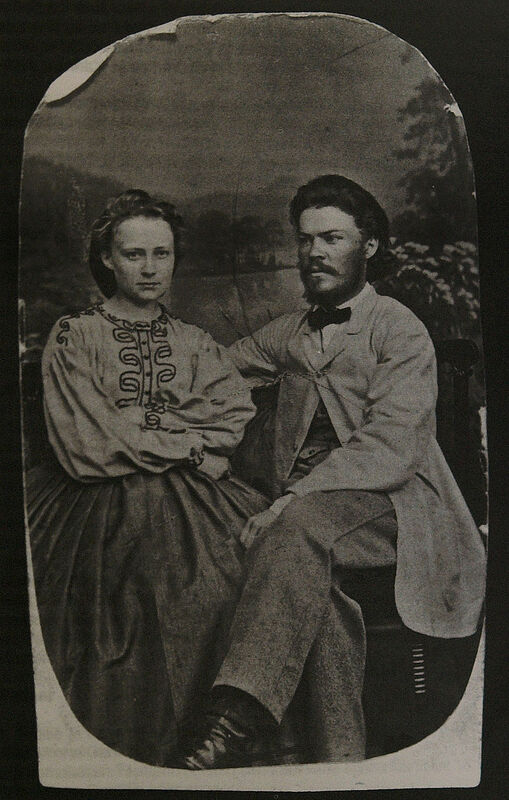 In 1865 she married her natural sciences teacher, Johan Ferdinand Canth, and had to drop out of the Seminary. 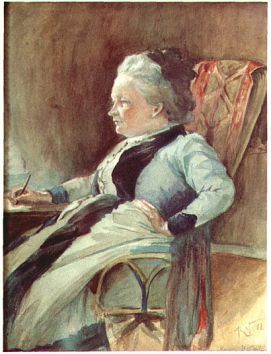 Between 1866 and 1880 she gave birth to seven children and began her writing career at the newspaper Keski-Suomi, where her husband worked as an editor. She wrote about women’s issues and advocated temperance. In 1876 the Canths were forced to leave the paper because Minna’s pieces had caused social friction. They were, however, both employed by the competing Päijänne the following year. Minna published her first works of fiction in Päijänne: various short stories, which were compiled in her first book, Novelleja ja kertomuksia, in 1878. Canth stood up when there was public debate about women’s rights. In 1885 a bishop had argued that God’s order required that women were not to be emancipated. The writer Gustaf af Geijerstam then argued that men could only aspire to one day have the purity of women because they were fundamentally different, and this was the reason for prostitution and other immorality on their part. Canth objected strongly to this argument as it meant that men could defend their poor morals by reference to their implicit shortcomings, whereas any women involved in prostitution would lack the same defense. 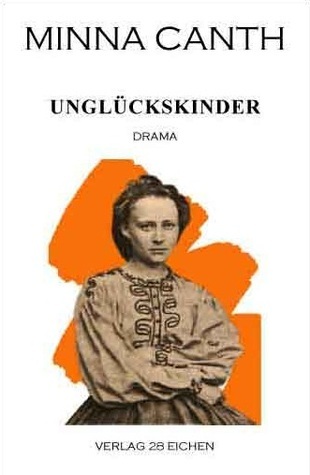 Minna Canth’s most important works are the plays Työmiehen vaimo (The Worker’s Wife) from 1885 and Anna Liisa (1895). In Työmiehen vaimo, the main character Johanna is married to Risto, an alcoholic who wastes all his wife’s money. Johanna cannot prevent him – her money is legally his, not hers. The play’s premiere caused scandal, but a few months later, parliament enacted a new law about separation of property. Anna Liisa is a tragedy about a fifteen-year-old girl who gets pregnant without being married – she manages to hide her pregnancy, and when the child is born, she suffocates it in a fit of panic. Her boyfriend, Mikko, and his mother help her – she buries the baby in the woods, but a few years later, when Anna Liisa wants to marry her fiancé Johannes, she is blackmailed by Mikko and his mother. They threaten to reveal her dark secret if she does not agree to marry Mikko, but Anna Liisa refuses. In the end, she decides to confess what she has done. She is taken to prison, but is much relieved after owning up and seems to have found peace. After she died in 1897, Canth’s works were either forgotten on trivialized in Finland, and remained so for most of the 20th century. It has only been in the 21st century that her plays and novels have been highlighted as pioneering works, and she has been granted the recognition that she lacked for a century. I have mentioned Finnish recipes a number of times, and the subject of pies of various (strange) types keeps popping up. Here is a video on Karelian pastries, a rice pudding filled raised rye dough that is popular throughout Finland.